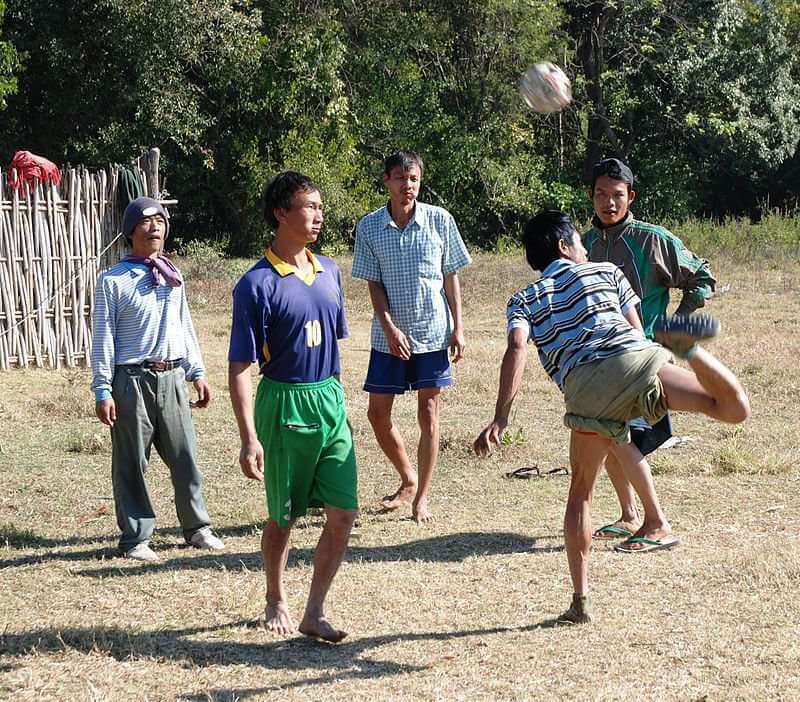 Chinlone, also called caneball, is the traditional and the national sport of Myanmar (Burma).  It is a non-competitive sport played typically in six people team. 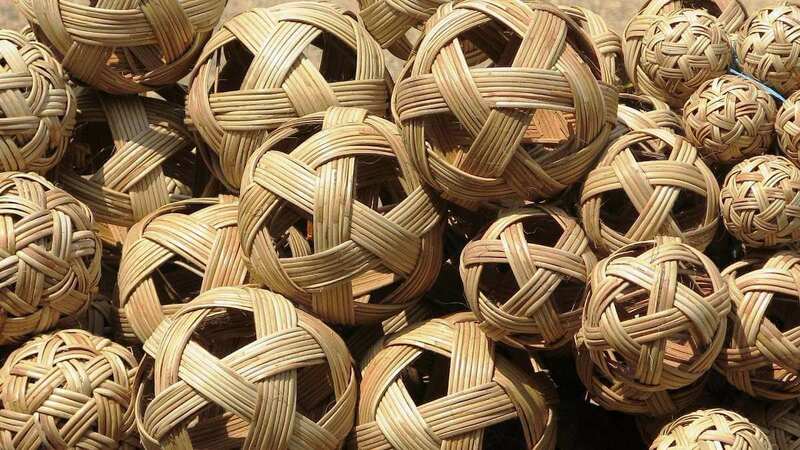 The ball used in the sport is made from handwoven rattan that sounds like a basket when hit. 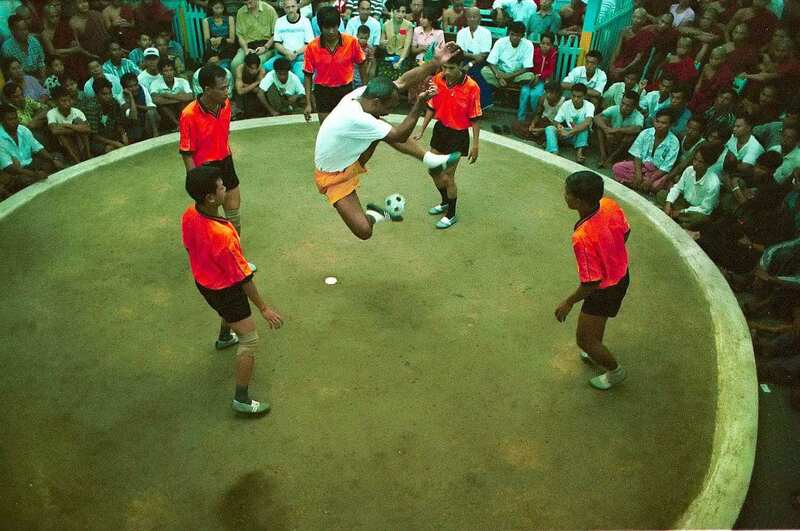 In this game, players pass the ball between each other without using their hands and within a circle. 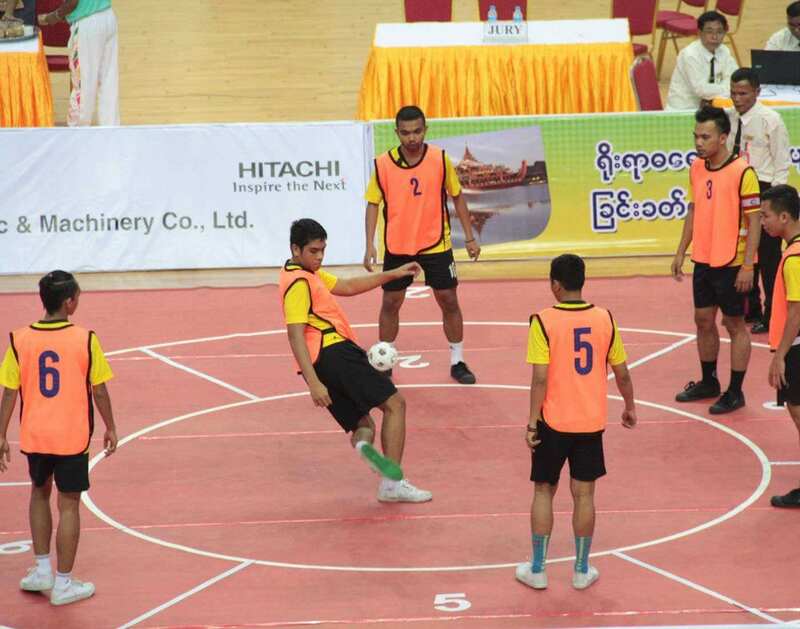 During the game, the players walk while passing the ball with one player in the center of the circle. 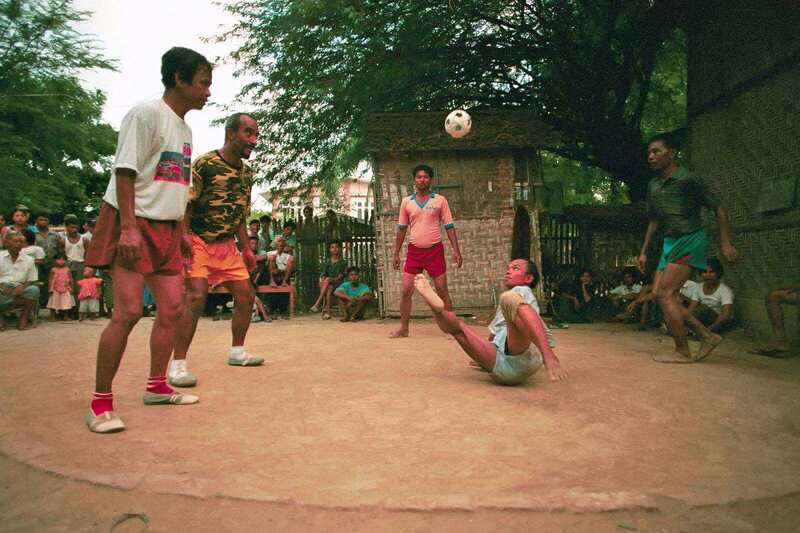 The objective of Chinlone is to keep the ball from hitting the ground while passing it back and forth as creatively as possible. After the independence of Myanmar from British colonial rule in 1948, the country needed traditions which should be unique to Burmese culture, free from any colonial influence. That time, Chinlone originated and now is played by men, women and children, usually together, interchangeably.